To celebrate Easter Sunday, Good Old Gold is holding a promotion on all cross jewelry. From now until the end of April, shoppers can take 25 percent on all cross jewelry pieces available at the Long Island-based retailer. Visit their showroom to explore cross necklaces and pendants, bracelets, and rings. Many of these pieces feature diamonds set into white gold, yellow gold, or rose gold; however, simple unadorned styles are also available for purchase. 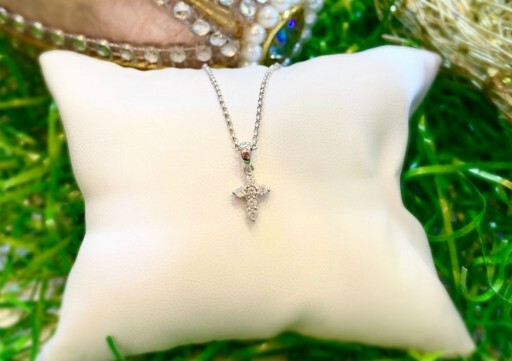 Cross jewelry pieces make ideal gifts for baptisms, first communions, confirmations, and other religious celebrations; to personalize the gift even further, consider getting the jewelry engraved at Good Old Gold as well. Please note that not all cross jewelry pieces can be engraved. Those interested in getting a message engraved on a particular piece of jewelry should talk to their sales associate. To learn more about the promotion on cross jewelry taking place at Good Old Gold this month, contact the retailer by calling (516) 798-5151 or emailing sales@goodoldgold.com.